The SET General Surgery Interview Online Course (CR306) is a highly specialised interview preparation program which prepares candidates for the Surgical Education and Training SET General Surgery admissions interview through the development of fundamental communication and presentation skills. The course is prepared by practicing consultant surgeons and provides candidates with an opportunity to gain a unique insight into the SET selection interview, including assessment and scoring criteria. On completion of the course, candidates are in an advantageous position to gain entry into the highly competitive General Surgery SET program. Furthermore, candidates completing the course develop communication and presentation skills that will assist them in their practice of medicine and surgery. Audience: General (unconditional) Medical registration in Australia or general scope or restricted general scope registration in the relevant specialty in New Zealand. The SET General Surgery Interview represents the final step for acceptance onto the Surgical Education and Training (SET) program for General Surgery. The aims of the SET General Surgery Interview Online Course are to provide doctors with the materials and strategies needed to develop communication and presentation skills that are needed to fully prepare for the selection interview and to stand out from the crowd, in a high stakes and highly competitive selection process. Furthermore, the development of these communication and presentation skills will assist them in their ongoing practice of medicine and surgery. This course consists of interview scenarios written and prepared by consultant General Surgeons with first-hand experience, expertise and insights into the practice of General Surgery, the SET General Surgery selection process, interview structure and training program. The course is suitable for candidates applying for SET General Surgery Specialty training who wish to complete a thorough interview preparation course that develops their clinical, communication and presentation skills, but who are unable to attend the live component of the course (refer CR305), or for those who wish to further their development in this area. Candidates work through 100 scenarios each of which consists of 2 questions (total 200 questions) in various online modules. Detailed ideal responses are provided for each scenario. Candidates are encouraged to practice their responses with their peers and to seek constructive feedback, in order to develop and refine their skills in this area. These modules cover key attributes of the RACS Core Competencies, ethics, as well as clinical scenarios that are commonly examined that determine proficiency in foundational medical and technical expertise required at the SET registrar level. This introductory module orientates candidates to the SET General Surgery Interview, and the course modules. While students are required to complete the online modules, formal practice of interview scenarios is highly recommended. Students should seek like-minded peers or educated family members to practice thinking through and delivery of their responses to interview prompts supplied in the modules. Note: Modules are sequentially released upon satisfactory completion to enable a structured framework for successful completion of the course. For registration and payment click Enrol and follow the registration and payment instructions. Course fees include access to the online modules for 365 days. Further fees apply for extensions and may only be granted on application. Please refer to our published refunds policy as a condition of enrolment. 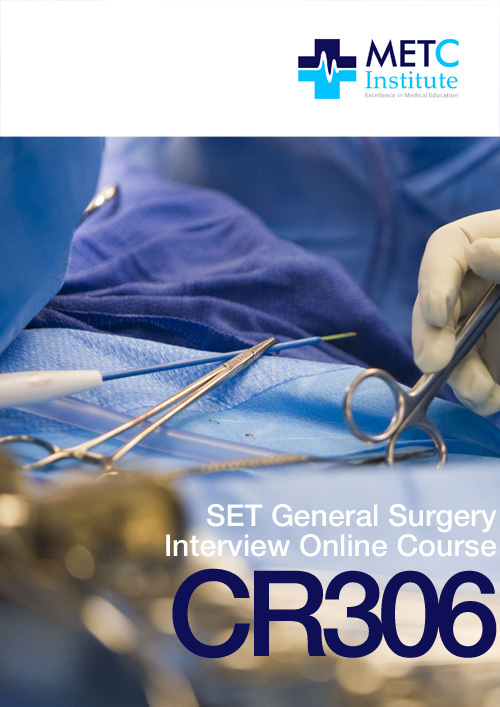 The SET General Surgery Interview Online Course (CR306) is a highly specialised interview preparation program prepared by practicing consultant surgeons with unique experience and insights into the SET selection interview, including assessment and scoring criteria. METC Institute is an independent organisation and SET Interview Workshops are not associated with, or endorsed by the Royal Australasian College of Surgeons (RACS), as RACS must maintain probity in its competitive selection process. 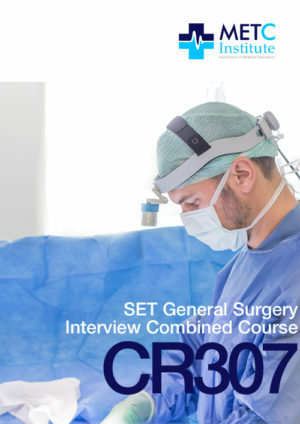 The SET General Surgery Interview Combined Course (CR307) combines both the SET General Surgery Interview Online Course (CR306) and the SET General Surgery Interview Workshop (CR305) to deliver a comprehensive approach to the development of clinical, communication and presentation skills needed for the SET Interview. Completion of this course allows comprehensive preparation and extensive development of core skills needed for a thorough preparation for the SET Interview and are life-long skills advantageous to good medical practice. All scenarios and interview panels are developed by the METC Institute faculty of General Surgery. Consultants available to students share unique insights into the SET entry preparation process and interview.